Boo Junfeng’s Apprentice has travelled across continents for a year and is finally finding a permanent home in your grasp--a Special Edition DVD. Launched on 27 July 2017 at the Objectifs Centre for Photography and Film, the DVD is now available for purchase at $30. There are a limited number of signed copies, so hurry to purchase them! The Special Edition DVD contains a 40-page booklet with Director’s statement, director’s interview, production notes, behind the scenes photos and full-page film stills. The DVD also includes bonus features like deleted scenes and behind-the-scenes featurettes. Fun fact: there is a deleted scene of the first time Rahim and Aiman meet. If you don’t already know, this year-long screening journey started at the Cannes Film Festival in 2016. It premiered in the Un Certain Regard section, the same section where Eric Khoo premiered 12 Storeys exactly 20 years ago! After a standing ovation and positive reviews, the film ran the film festival route and never stopped. It has by now been screened at over 60 film festivals around the world. It has also amassed a bouquet of awards. These include Rising Director Award for the film at the 2016 Busan International Film Festival in October; Network for the Promotion of Asia Pacific Cinema (NETPAC) award at Taipei Golden Horse Film Festival; Best Narrative Film, Interfaith Competition at the St Louis International Film Festival, Special Mention, Acting Ensemble at Hawaii International Film Festival; Critics' Choice Award and the Grand Prix at the Fribourg International Film Festival. And if you want to know, it has a 88% rating on Rotten Tomatoes. 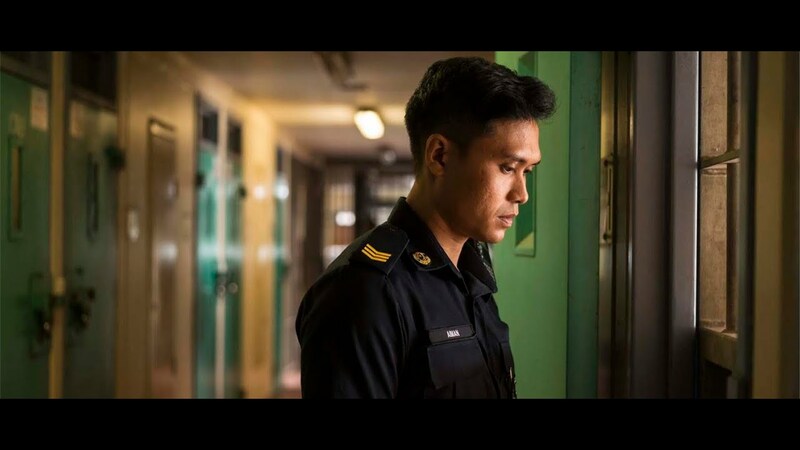 Inspired by the book ‘Once a Jolly Hangman’ by Alan Shadrake, Apprentice tells the story of Sergeant Aiman who gets transferred to a maximum security prison and incidentally, lands himself in the shoes of the apprentice of the country’s chief executioner, Rahim. Through the process of learning the ropes (pardon the pun) of the job, he confronts ‘state-sanctioned murder’ in the face, his personal past in which his own father was hanged, as well as the moral dilemma of performing the job of pulling the plug. Watching the film will make you marvel at how well-researched the film is and the maturity it displays in dealing with such complex emotions and personal struggles. Here are excerpts of an earlier review of the film I wrote in December 2016.